Many aspects of our lives will be different in the future. Our cars could fly. Maybe we’ll live on Mars. Extinct species will be reborn. Sounds remarkable, huh? Well, enjoy it all while you still can because, eventually, we’re all still going to die. That’s one thing that won’t change (probably). Ashes to ashes, dust to dust. Perhaps there’s a way to spice up the traditional burial in our newfound future. Now, we’re not trying to judge anyone’s final wishes. There’s just something so plainly old-fashioned about having your body end up six feed under in a coffin. Once buried, your body decomposes, and feeds a host of micro-organisms underground. Eventually, all that’s left is a pile of fossilized bones. Sounds sort of badass, but overall, it might not be everyone’s cup of tea. Luckily, it’s 2018. 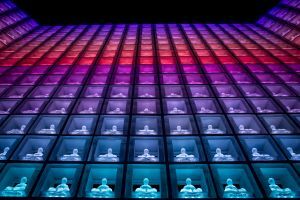 And, if you kick the bucket, there are now countless ways to approach post-mortem planning – including some futuristic ones that could even give you a chance at living on eternally in the digital afterlife. Having your cremated remains shot up into space is becoming an ever-growing trend in the United States. Mesoloft — a company that specializes in launching human remains to an altitude of about 24,084 meters (80,000 ft), using balloons — is one of many businesses trying to convince you to slingshot your ashes high up into the sky. But why? Melosoft’s head of operations Alex Clements has a simple answer: “I think people are tired of being put in a wooden box in the ground,” he tells Popular Science. Once at just over 24,384 meters — a long shot from the start of actual space at 100,000 meters (380,000 feet) — an Arduino-powered robot releases your ashes into the atmosphere, recording a little snippet of video to show to friends and family at the funeral. 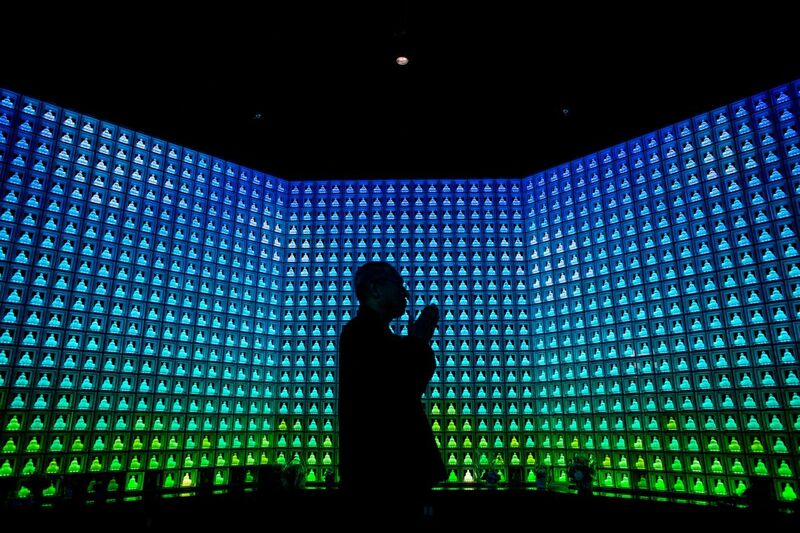 Funeral services can be extremely expensive in Japan, but a futuristic cemetery called Ruriden at the Koukokuji Buddhist Temple in Tokyo is offering something much more affordable: a locker space for cremated remains, along with a little LED Buddha statue. It’s a lot cooler, and less kitschy than it sounds, I promise. As reported by Motherboard, there are more than 2,000 of these statues lining a massive wall in the space. Directly behind it, lockers house the actual human remains. With the help of a smart card system, visitors can store information about their deceased loved one, and make their representative Buddha statue light up like your childhood Sketchers. The cost? $6,600 USD for a single locker, along with a yearly maintenance fee of $80. A long shot from the tens of thousands of dollars spent on a traditional burials in Japan. And for the funerary services at the Buddhist Temple, why not hire Pepper the charming humanoid robot, to read a couple of Buddhist mantras? There’s a reason they’re sometimes called “blood diamonds” – a lot of blood is shed in the process of mining, refining, selling, cutting, and eventually sticking the sparkly bit into a piece of jewelry. But there are alternatives out there. Moissanite, for instance, is a synthetically created diamond that shines just as bright. And now, you (technically, your dead body) can shine bright like a diamond, too! That’s right. Your cremated remains (or cremains) can be pressed into diamond form using a 13,000 pound industrial machine. According to LifeGem — allegedly, the owners of the only diamond production facility in the U.S. — the process involves heating extracted carbon from the remains to extreme temperatures, and placing it in a specialized diamond press. Once cut and polished, the diamond can be laser etched with a “unique identifier,” such as “<3<3<3.” Romantic. 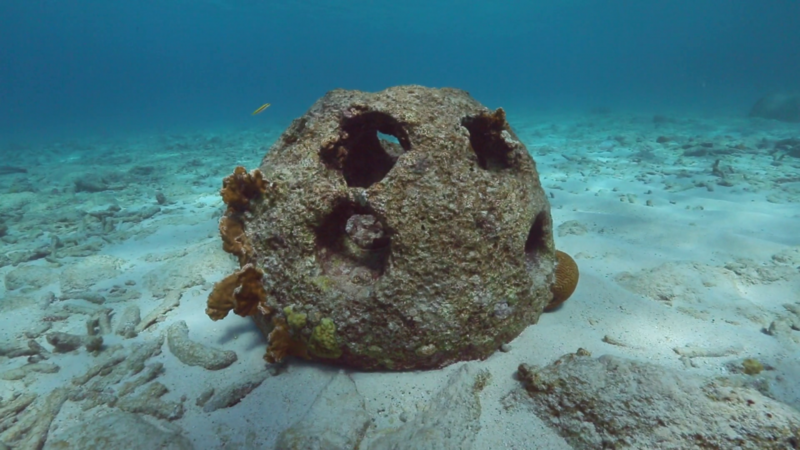 If you’d rather have your remains serve a more useful purpose — let’s say, protecting fragile underwater ecosystems — consider having them strapped to a “Reef Ball.” The ball mimics reef material and allows sea life to attach to it. The company behind it, called Eternal Reefs, uses a special blend of concrete and combines it with your cremated remains. Once plopped into the ocean, sea life inhabits the reef ball, and allows more fragile habitats to thrive. Although it’s not visually appealing, a decomposing body can offer the natural environment a lot of food to feast on. But pumping the body with formaldehyde – and using non-biodegradable materials in the casket or clothing – results in a harmful mix that won’t break down for decades, if not centuries. Artist, and CEO of Ceoio, Jae Rhim Lee, found a much more Earth-friendly alternative to the conventional Western burial. She invented the Infinity Burial Suit — a full-body suit that can grow mushrooms specifically bred to break down hair, skin, and nails. Spores of these so-called “Infinity Mushrooms” are then infused into the cloth of the body suit, speeding up decomposition significantly. If a cemetery in the suburbs is too passé for you, consider moving to Hong Kong. Once there, you can chose to be buried aboard the “Floating Eternity” — a seaworthy graveyard that was designed to relieve the pressure of a growing number of deaths in Hong Kong. 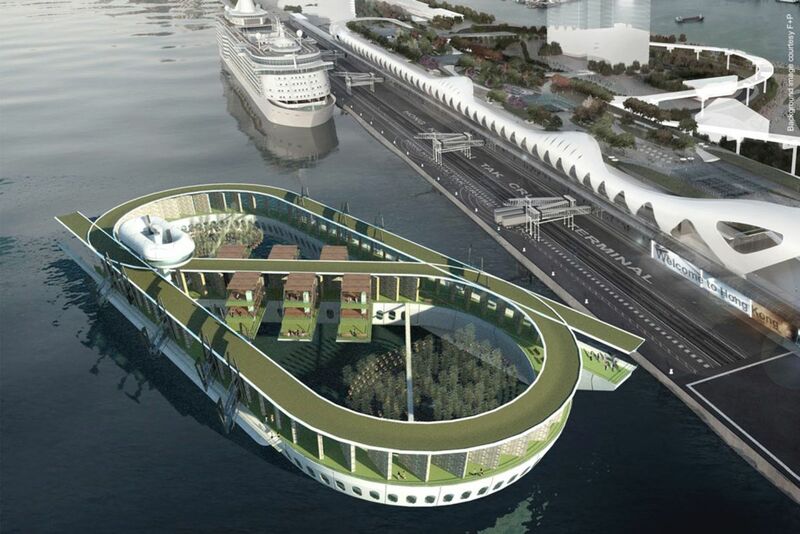 While technically not available to customers just yet, the “Floating Eternity” will be able to house the ashes of some 370,000 people. The London and Hong-Kong-based architecture firm behind the project, BREAD studio, designed a circular walkway that allows for an unobstructed view from any angle. Okay, we’ve talked a lot about what to do with your physical body. But what about your mind? Uploading somebody’s consciousness to the interwebs is still very much science fiction. But, while having your mind “resurrected” using technology may not be an option right now, recreating a version of you that acts (or at least types) like you, is. Companies like Sweden-based funeral agency, Fenix Begravning, are using sophisticated AI algorithms to create an interactive digital identity based on a deceased person — a spooky ethereal entity that allows you to hear “voices from ‘the other side'”, as Fenix refers to it. This digital self can mimic how a person speaks through text only right now, but Fenix is hoping to expand this to verbal communication as well in the future. The technology behind it is not some Ouija-board-based magic, but an algorithm that’s being fed the deceased person’s social media, chatlogs, and even emails. So, now that we’ve reached the end, which option will you pick? Choose wisely. It’s truly a matter of life and death.